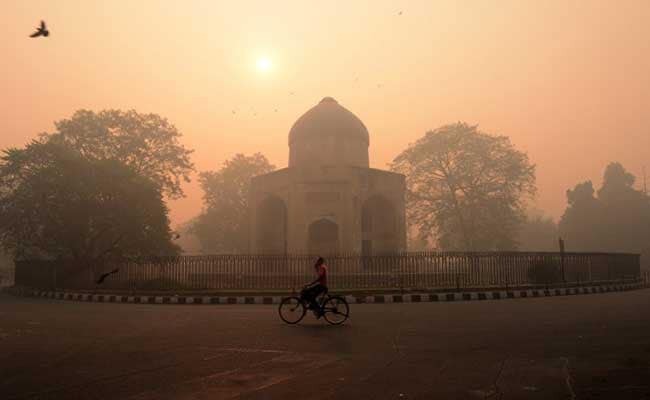 The air quality in Delhi and its neighbouring cities - Gurgaon, Faridabad, Ghaziabad, Noida and Greater Noida - has been oscillating between "very poor" and "severe", and on certain days reaching "hazardous" levels. Delhi may soon consider a ban on all private vehicles except ones running on CNG in an effort to curb pollution and improve air quality in the national capital. The pollution control authority, in its latest recommendations, asked for "at least" odd-even to be implemented in the national capital as an immediate measure. In its list of recommendations to the Central Pollution Control Board or CPCB, the Environment Pollution Control Authority (EPCA) asked them to "either impose a complete ban on non-CNG private vehicles, or at least implement the odd-even scheme if air pollution levels rise again in Delhi." The recommendation was made directly by the chairman of the Environment Pollution Control Authority - a Supreme Court-appointed body. An AQI (Air Quality Index) between 0 and 50 is considered "good", 51 and 100 "satisfactory", 101 and 200 "moderate", 201 and 300 "poor", 301 and 400 "very poor", and 401 and 500 "severe". Anything above that is considered "hazardous". Reacting to the recommendation by EPCA Chairman Bhure Lal, the Central Pollution Control Board said the order for a complete ban on non-CNG private vehicles should be "deliberated" by the EPCA themselves as they are a larger body. Earlier this week, Mr Lal had also written to the chief secretaries of Delhi and its neighbouring states - Uttar Pradesh and Haryana - asking them to consider a complete ban on private vehicles except those running on CNG. In a letter to CPCB member secretary Prashant Gargava, Mr Lal wrote that most major cities across the world have similar emergency plans. He even cited the examples of Paris and Beijing, which impose strict restrictions on private vehicles. He stated that the restrictions were based either on the basis of number plate (odd-even or similar schemes) or by type of fuel or the age of the vehicle. He highlighted that vehicles contribute as much as 40 per cent of the total emission load in Delhi and roughly 30 per cent in neighbouring cities. "In this situation, the only option is to look at either a complete ban on all private vehicles other than CNG and/or restriction on plying by number plate (odd-even)," he said. In 2016, the odd-even scheme was enforced twice - January 1-15 and April 15-30 - in Delhi, when vehicles having odd and even number plates were allowed to ply on alternate days as the air quality deteriorated. The odd-even scheme is a part of the Graded Responde Action Plan (GRAP), emergency measures implemented in phases to combat air pollution. Mr Lal said he understands that any restriction on plying of private vehicles without adequate public transport would create "huge inconvenience" to people. "Even after removing trucks and other diesel commercial vehicles, which are the highest segment of this pollution load, the remaining vehicles add up to substantial load, particularly private diesel vehicles which contribute substantially to both NOx (nitrogen oxides) and PM (particulate matter) emission," the EPCA chairperson said. He went on to say that "The EPCA for the past many years has stressed on the need for augmentation of public transport, not just in Delhi but in the NCR region. The Comprehensive Action Plan, which is now notified, but still nowhere close to implementation, includes time-bound action on public transport." He concluded his recommendation by requesting the CPCB-led task force to deliberate on this matter and give its recommendations at the earliest.